If you are not familiar with the blog Flashback Summer (of vintage fashion aficionado Emileigh), you need to check it out and follow it! 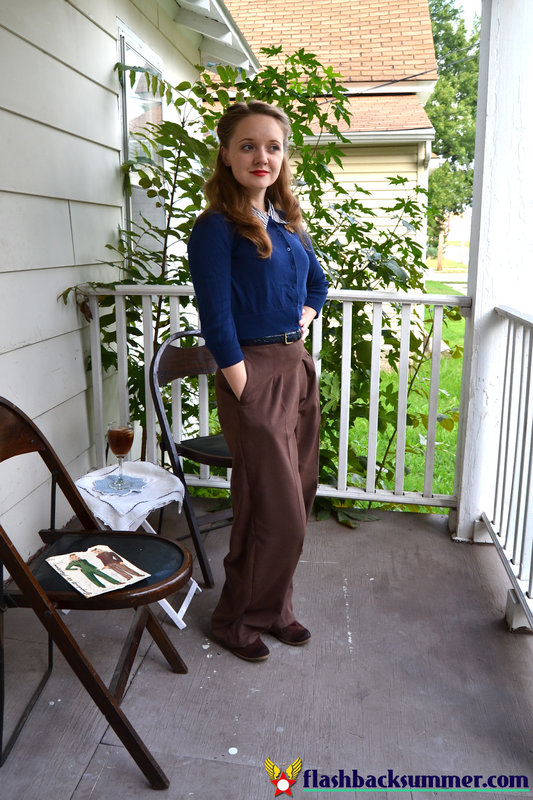 In a recent post, Emileigh kindly described her experience sewing a pair of 1940s slacks using a pattern that she purchased from my shop. The Result: Doesn't Emileigh look superb in these sophisticated slacks? 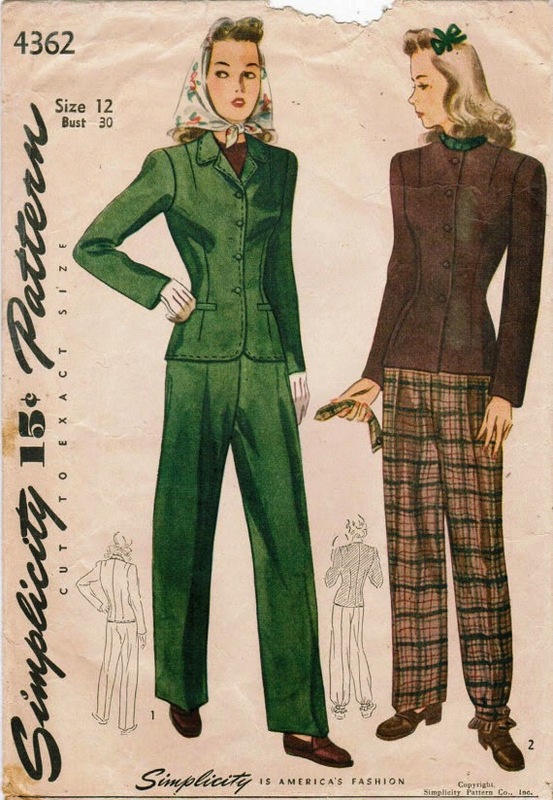 A flattering fit for work, the slacks look both stylish and comfortable. And not difficult to sew! For all the details and more pictures, check out Flashback Summer.